We recently installed these wonderful granite worktops onto a working display kitchen at the Cavendish Kitchens Benton showroom East of Newcastle upon Tyne. 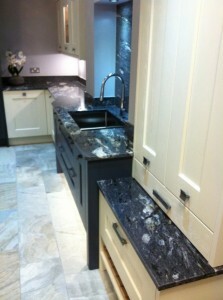 We think the sink splash back works particularly well where the dramatic veining of the stone is on display. The up-stands around the rest of the kitchen and the splash back behind the hob up to the wood serving shelf bring a sleek continuity to the display. 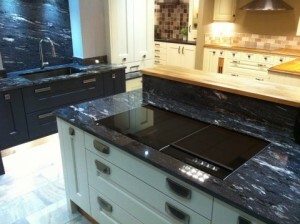 More of this stone is available to view at our Durham showroom.